I had an enjoyable afternoon book signing my new book, A Love of Her Own, at Borders on Saturday. John Alford, the manager is always helpful and friendly to me. I really meant to get a picture of him this time and somehow forgot once I got busy. Next John! 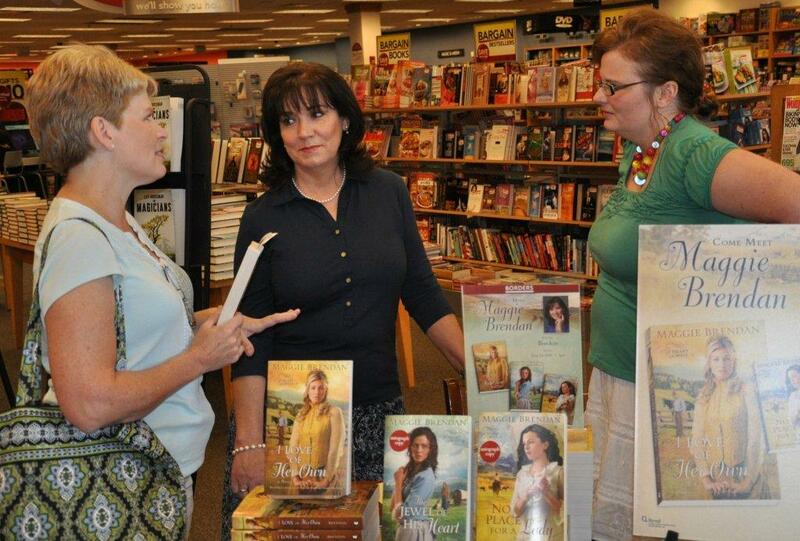 The lady in the green top is my best friend and crique partner, Kelly Long who was at Borders working on her deadline for her Amish novel. 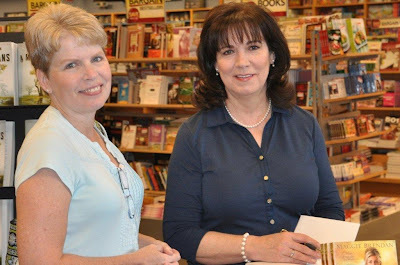 The woman in the light blue is Patty Hall, another writer who enjoys reading my books and a member of the ACFW, too. 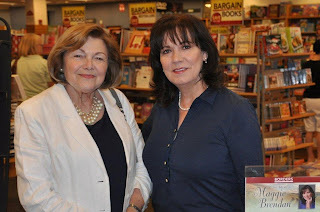 The picture of me with the lady in the white jacket is my dear, sweet friend, Jeanette Delaney, a fan of my The Heart of the West series. She works at the hair salon where I go to get prettied up. Jeanette is delightful and the epitome of a true southern lady with grace and charm. She was a evacuee from New Orleans after the Katrina hurricane. Soft spoken and lovely, I told her that I pray I can only look near as good as she does when I'm 80! It's so much fun talking to shoppers at the bookstore, but especially when young children want to know about my books, and of course, I love have a Seattle's Best Mocha! Speaking of coffee, it's time for a cup or two then to get back to writing. I really like the site. I can't believe my Mother has a blog and and a website before me! Love you!